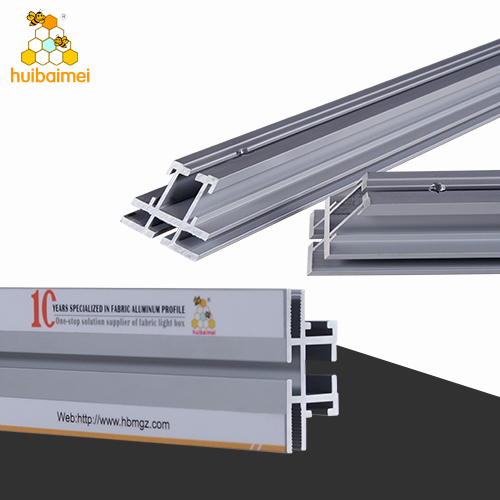 17mm single side aluminum frame, is ultra thin frame with non-lit design. 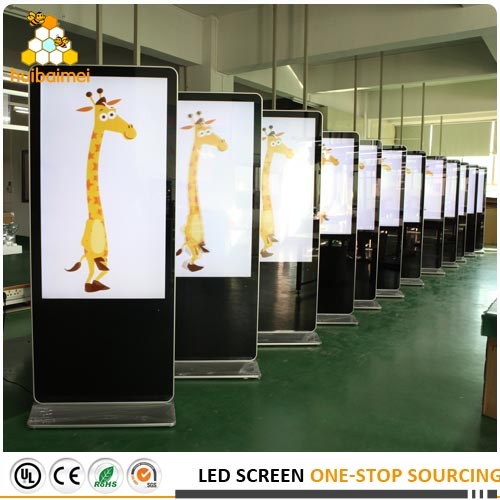 Often used for photo picture frame light box and advertising display. 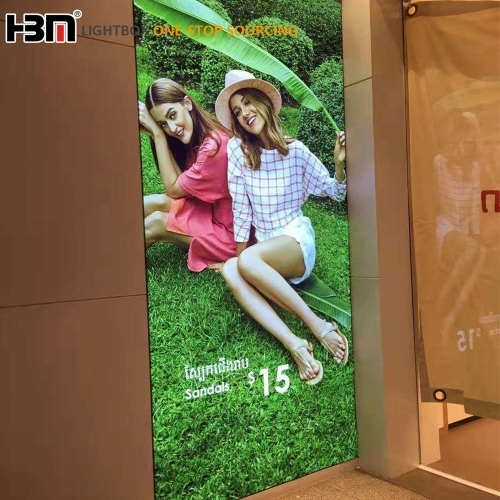 60mm frameless fabric light box with back-lit led strip are widely used for various brand shop,like brand shoes,bags,clothes,jewellery and so on. 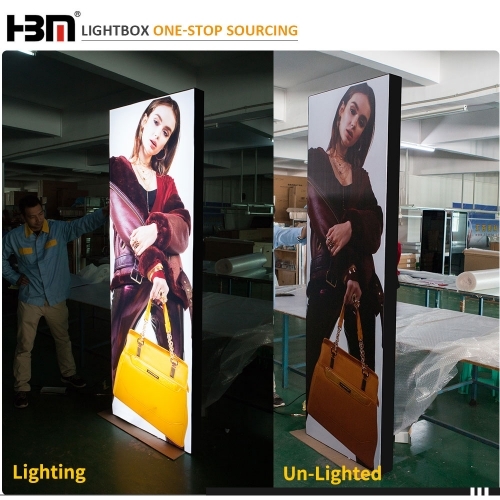 40mm double side fabric aluminum profile, ultra thin design, light and easy to carry, generally, it will be the advertising frame of non-lighted fabric light box and it is usually used in indoor shops and window advertising to double side display. 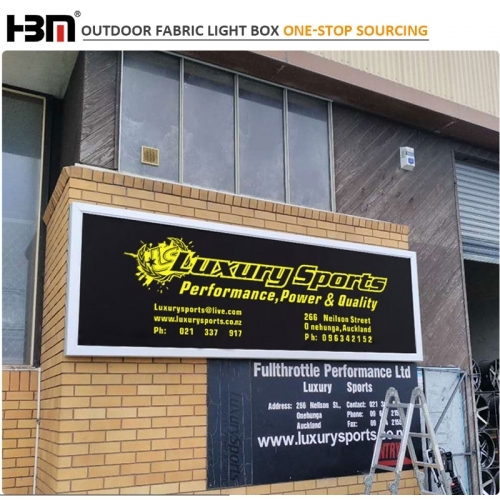 49.5mm double side fabric aluminum profile, ultra thin design, light and easy to carry, generally, it will be the advertising frame of non-lighted fabric light box and it is usually used in indoor shops and window advertising to double side display. 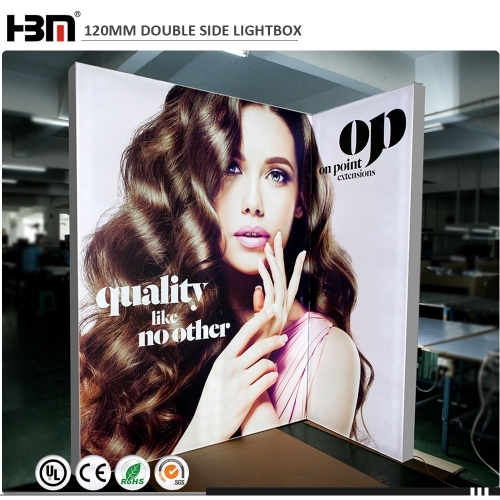 45mm double side fabric aluminum profile, ultra thin design, light and easy to carry, generally, it will be the advertising frame of non-lighted fabric light box and it is usually used in indoor shops and window advertising to double side display. 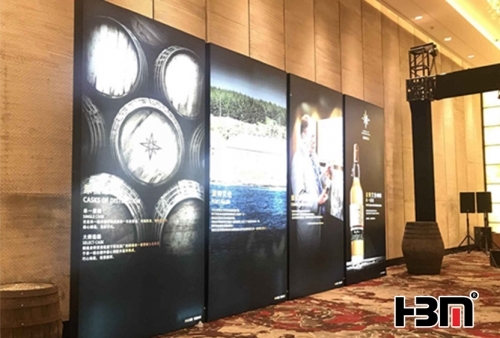 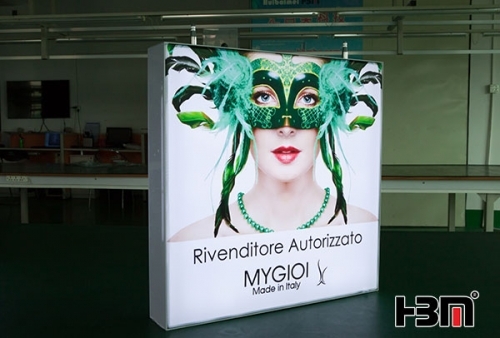 exhibition stand free standing double face fabric light box is always used for advertising display for trade show. 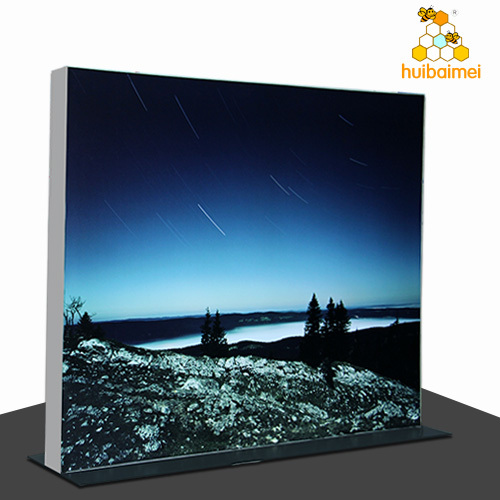 Made of 120mm aluminum profile and backlit or edgelit LED, and high quality UV printing fabric poster. 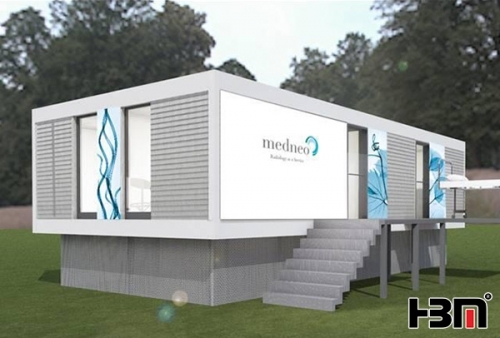 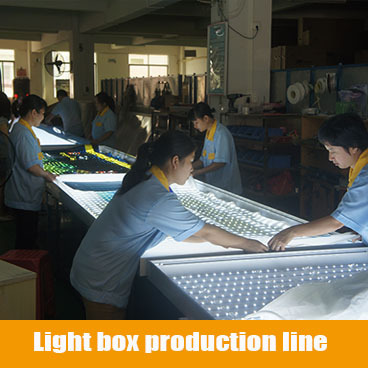 Double sided fabric light box is widely used for customized modular exhibition trade stand dispaly. 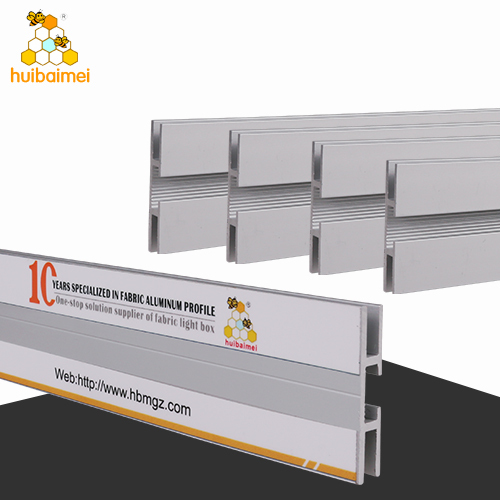 Floor standing with base or ceiling hanging display type. 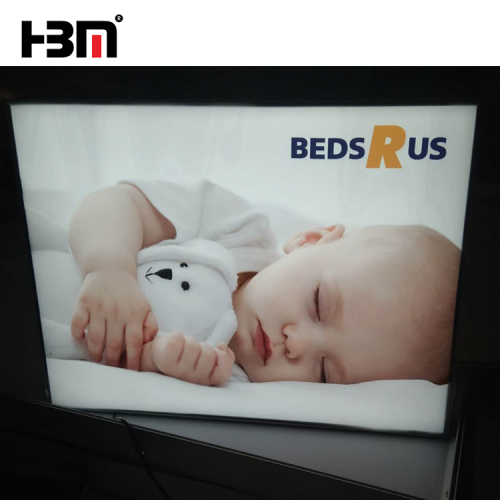 Backlit LED or edgelit LED is workable for the aluminum profile frames. 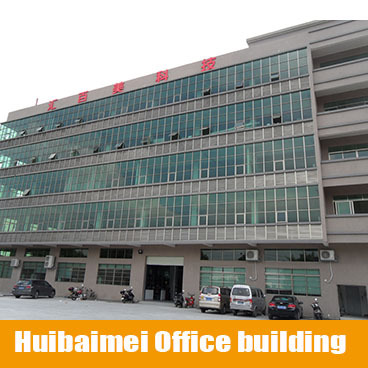 Guangzhou Huibaimei Information Technology Co.,Ltd, located in Guangzhou, is a leading manufacture specialized in design, production and sale various advertising light box and advertising display products, with principle of〝survive with high quality, develop with credibility〞, has a group of technical team and sales team with more than 10 years experience . 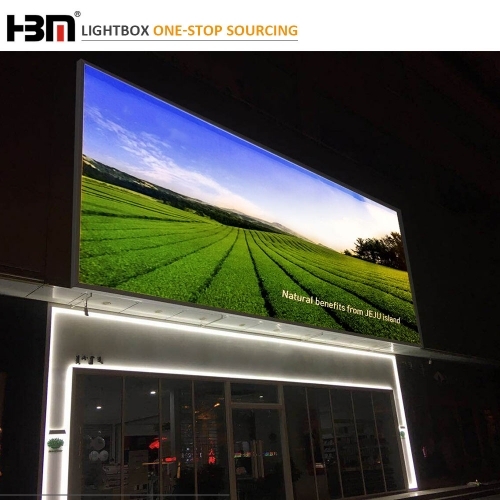 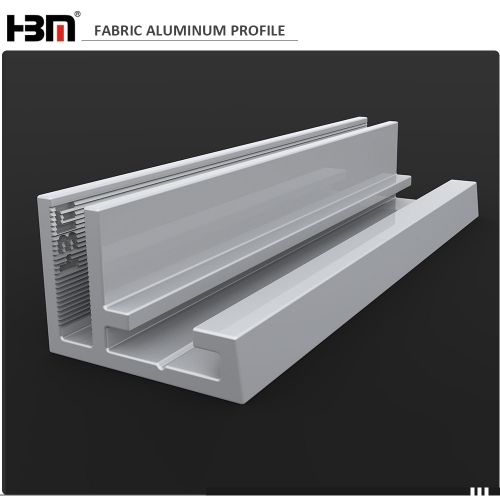 Fabric light box is the development trend of the current advertising light box, HBM is a professional manufacturer of light box solutions from the profile design -the mold production - the assembly of finished products to provide "one-stop" services, could up to the maximum of time-saving. 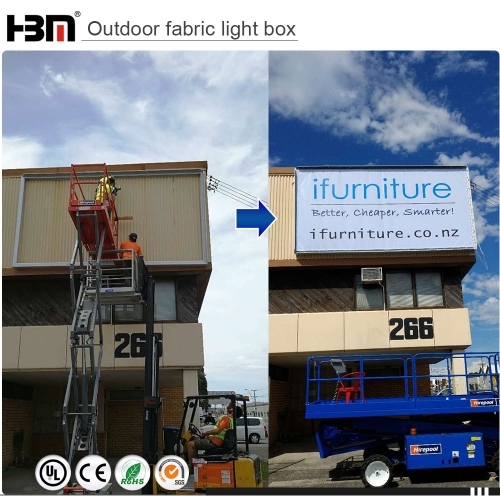 Money-saving, convenient and efficient service. 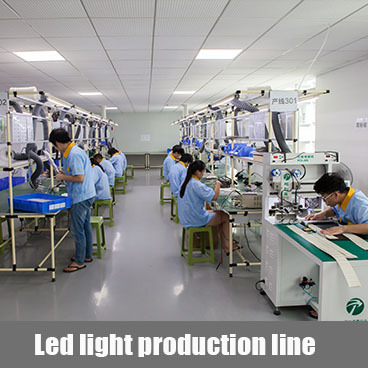 Our products have been sold well in domestic and foreign countries and exported to 98 countries. 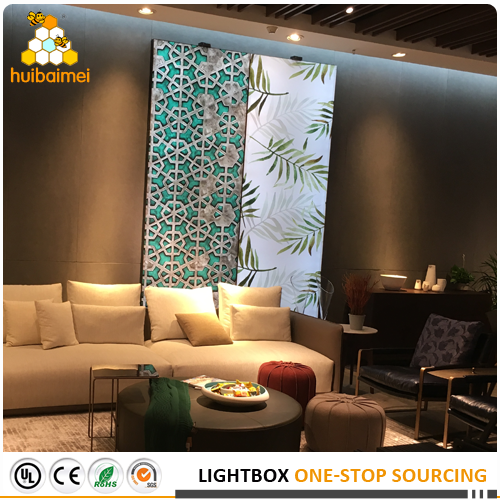 We have built long-term cooperation relationship with China Mobile, Chimelong Group, Wanda Group, Midea and high-speed railway and other famous brands. 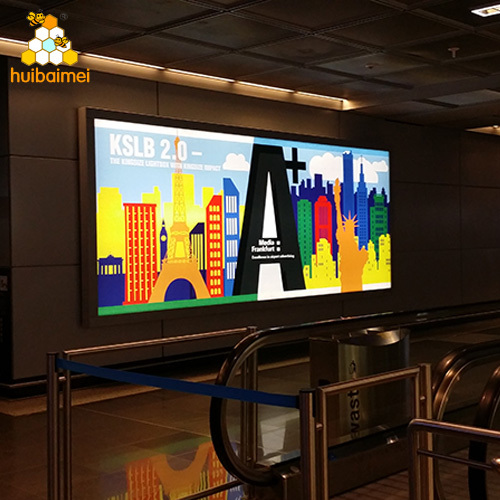 French subway, the British Martha dress, the German clubs international brands have established a good relationship of cooperation with us. 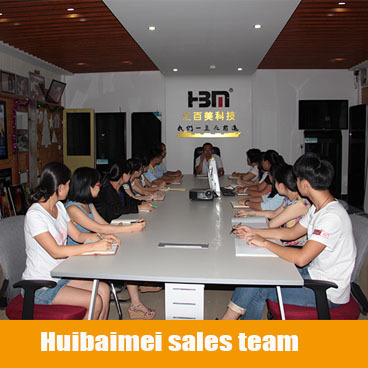 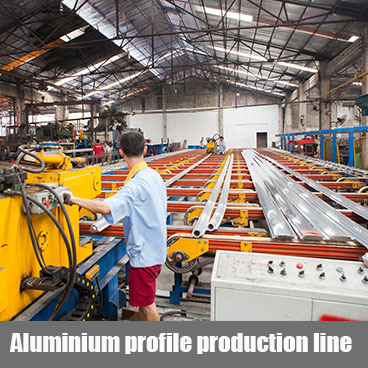 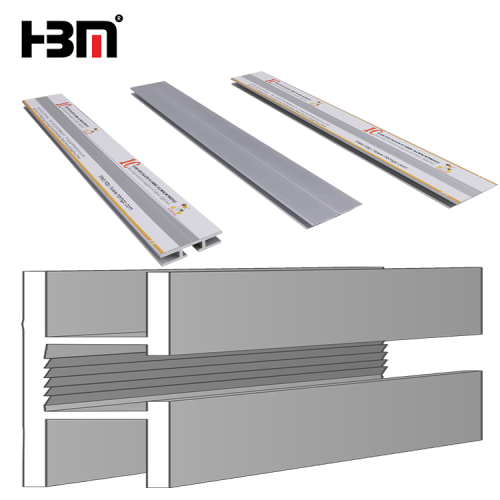 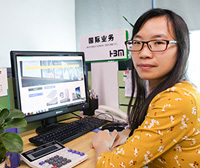 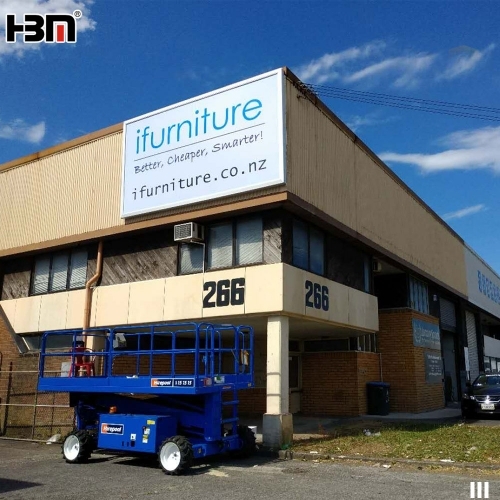 HBM team adhering the goal of building the industry pioneer and creat our famous brand, excellent quality and service is our company’s fundamental to make our brand products grow stronger and bigger. 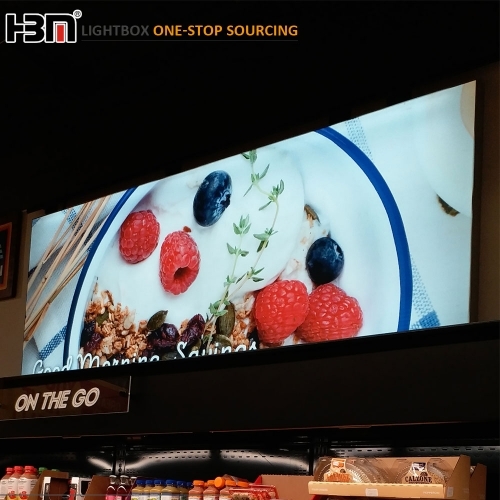 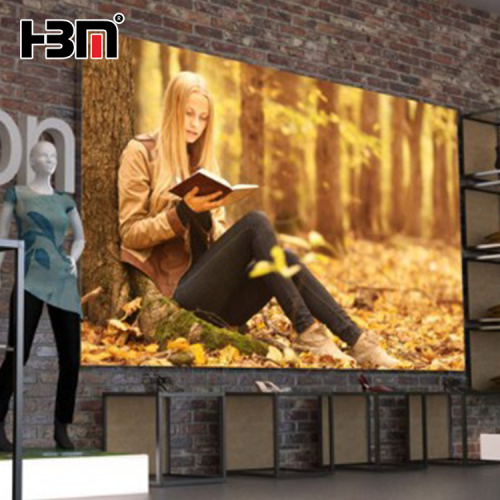 This fabric light box is used for light-fixture stores promotion advertising display in Australia. 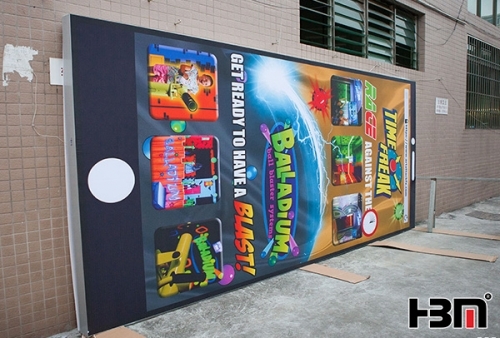 Hanging type with two sided fabric face advertisement display. 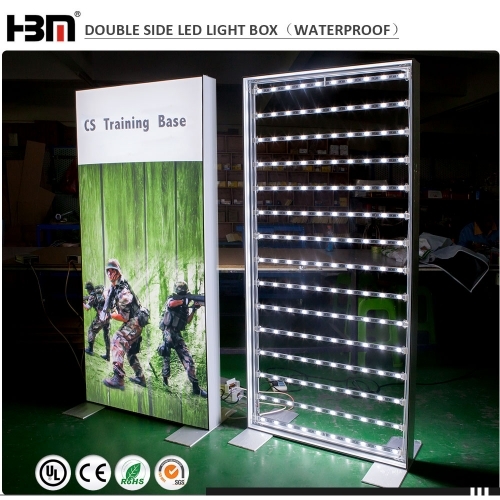 it is waterproof outdoor lighting decorative wall led panel outdoor advertising panels advertisement with waterproof fabric with OEM and ODM.This indoor or outdoor snap advertising led light box is for shop display showcase. 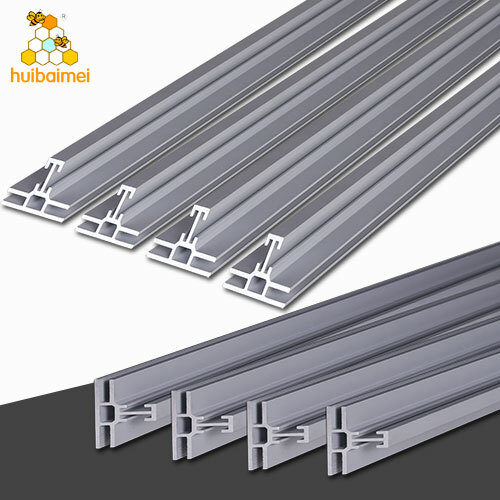 It is very easy to assemble. 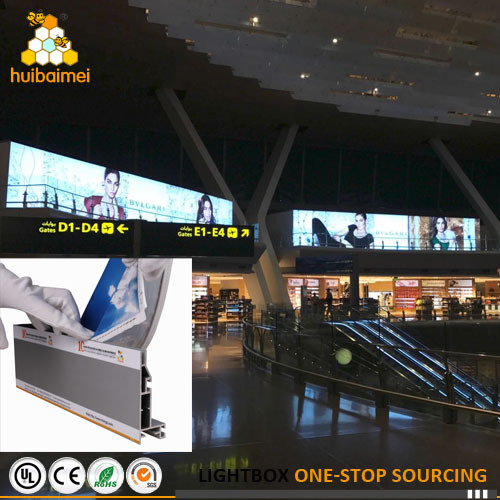 This airport project fabric light box is made of thicken 100mm aluminum profile. 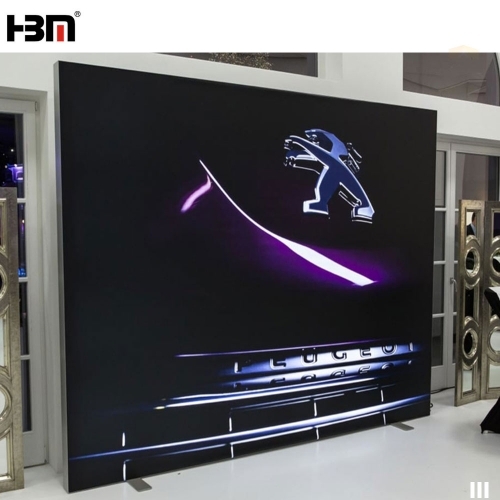 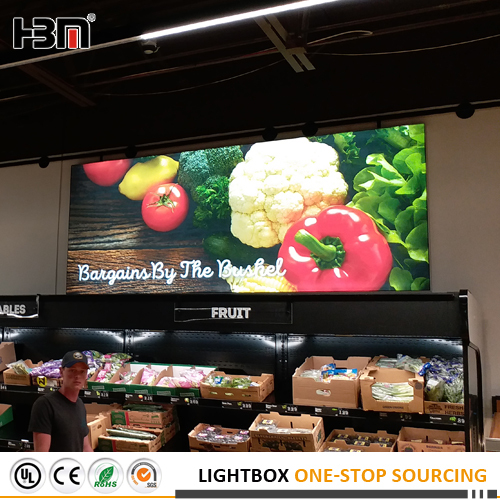 Large format with tension fabric poster, and LED backlit light SMD3030, Meanwell power supply.